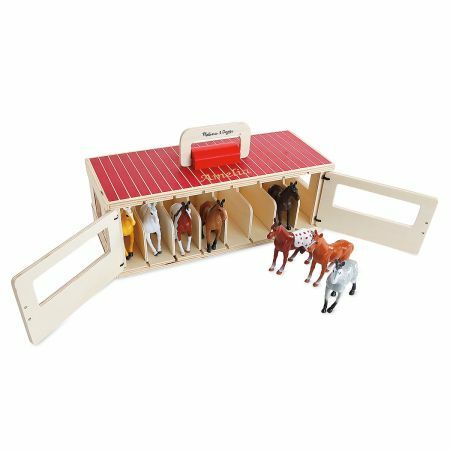 A play set to please equestrians of every age! 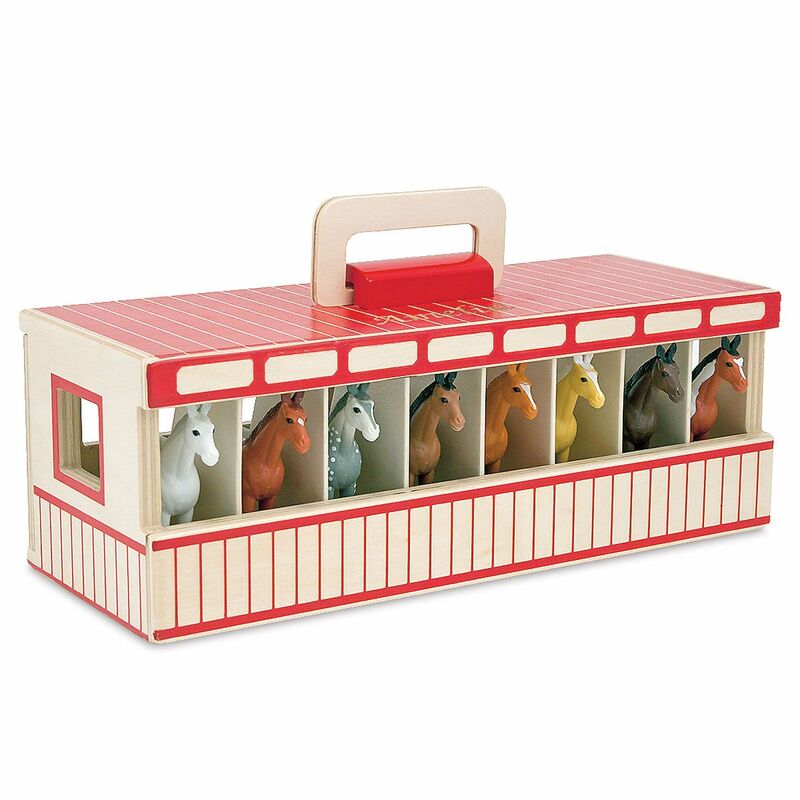 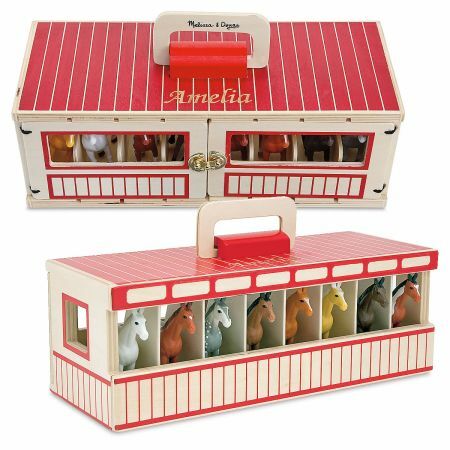 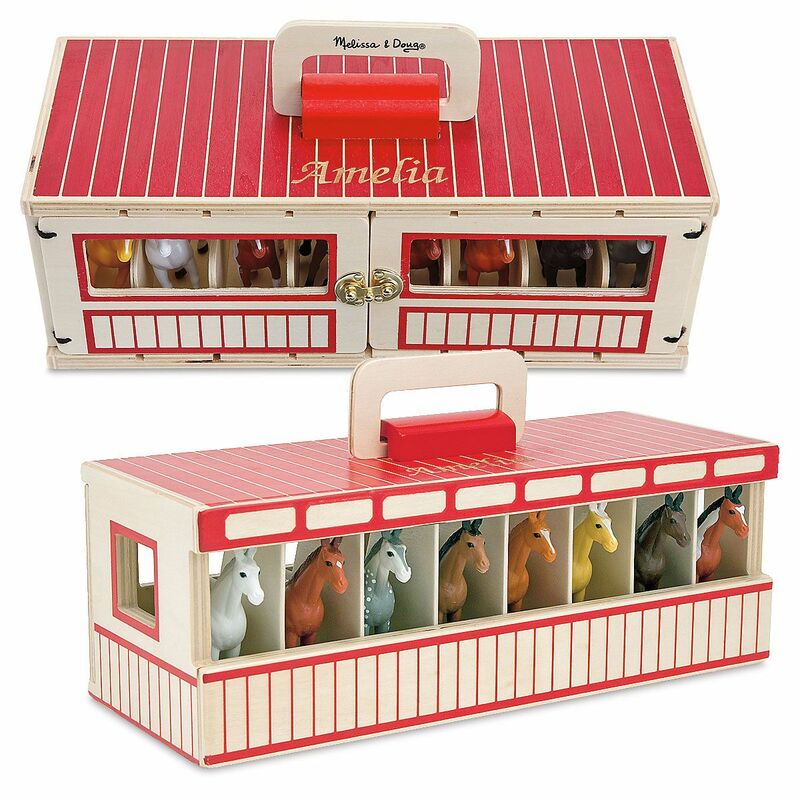 This handsome pretend-play stable set houses eight toy horses, each in its own wooden stall. 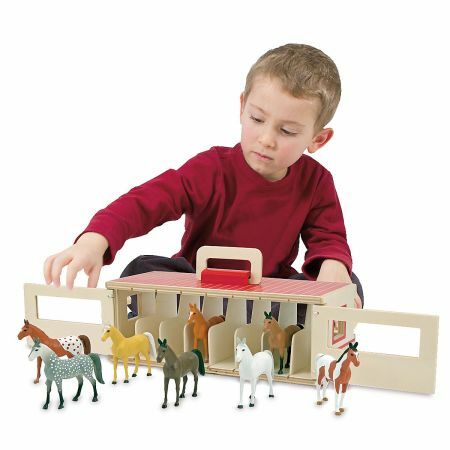 Swing open the stable doors to take them out for playtime and admire their unique breed markings, then put each one back in its stall and latch the doors until the next big horse show! The sturdy wooden stable box features a comfortable handle on the top, a child-safe metal. 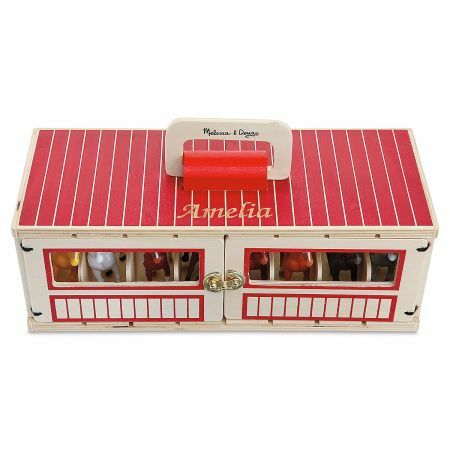 5 x 12 1/2"W.